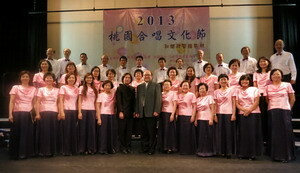 We transform from people busy fixing broken power cables in stormy weather to performers singing beautifully on stage; in celebration of the 30th anniversary of the establishment of the group, and of teachers devoted to underprivileged groups, we invested the whole year to prepare for this once-every-10-year music concert that includes art songs and folk music. We look forward to seeing you at the concert. Focusï¼šFrom 20-something to 80-something, employees of various age groups, present or retired and after 30 years of constant refinement, bring the audience a concert filled with music that will linger.